The Philippines' leading airline, Cebu Pacific (PSE: CEB), together with seven other market champions in Asia Pacific, today announced the formation of the world's largest low-cost carrier (LCC) alliance – the Value Alliance. CEB (including wholly owned subsidiary Cebgo), Jeju Air, Nok Air, NokScoot, Scoot, Tigerair Singapore, Tigerair Australia and Vanilla Air – will provide greater value, connectivity and choice for travel throughout Southeast Asia, North Asia and Australia, as they bring their extensive networks together. Customers will be able to view, select and book the best-available airfares on flights from any of the airlines in a single transaction, directly from each partner website, thanks to groundbreaking technology developed by Air Black Box (ABB). This means more destinations, more routing options and greater convenience for customers of each airline. Unlike typical interline technologies, ABB also allows guests to enjoy the full suite of ancillary choices they have come to appreciate from LCCs, such as seat and meal selection, variable baggage allowances and other inflight features – across all partner airline sectors in a single itinerary. ABB's Air Connection Engine (ACE) platform has filed for NDC Certification with IATA and is expected to complete full certification soon. 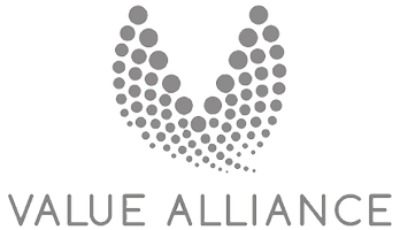 The Value Alliance airlines, who together cover a third of the earth and serve more than 160 destinations with a collective fleet of 176 aircraft across the Asia Pacific region, will strengthen distribution in their non-home markets, expand their saleable networks via the provision of interline itineraries, retain their ancillary revenue opportunities and offer their customers a better, one-stop-shop experience. "The technology enables us to interface with other airlines within the Value Alliance, including those using different passenger service systems (PSS), to provide a solution to a guest's travel query – even on routes Vanilla Air may not itself serve to connect Japan to the rest of Asia Pacific," noted Katsuya Goto, President of Vanilla Air. Asia Pacific's tourism industry is the largest in the world, offering travellers experiences as diverse as visiting the Great Barrier Reef in Australia, exploring Tokyo's mix of traditional shrines and modern shopping, or island hopping in the Philippines or Thailand. With more than 500 million visitors expected to arrive in Asia Pacific by 2020, the new Value Alliance will connect travellers to more of the unique destinations they wish to explore that are typically found in secondary cities. Cebu Pacific offers flights to an extensive network of over 90 routes on 64 destinations, spanning Asia, Australia, the Middle East, and USA. The airline's 57-strong fleet is comprised of 7 Airbus A319, 36 Airbus A320, 6 Airbus A330, and 8 ATR 72-500 aircraft. Between 2016 and 2021, CEB expects delivery of two more brand-new Airbus A320, 30 Airbus A321neo, and 16 ATR 72-600 aircraft. Established in May 2016, Value Alliance is the world's first pan-regional Low Cost Carrier (LCC) alliance comprising eight Asia Pacific market champions – Cebu Pacific (including subsidiary Cebgo), Jeju Air, Nok Air, NokScoot, Scoot, Tigerair Singapore, Tigerair Australia and Vanilla Air. Its members provide unparalleled access to more than 160 destinations across the region, covering a third of the world. In 2015, the airlines collectively served more than 47 million travellers from 17 hubs. Powered by ABB's revolutionary web technology, travellers will be able to book flights offered by any Value Alliance partner at the most competitive fare, including connecting flights for multi-destination itineraries. While doing so, they can also select from the full range of service options in a single transaction.